Two days ago, Woodland Park Zoo’s female Asian elephants, Bamboo and Chai, departed on a custom-built elephant transport vehicle for their new home at Oklahoma City Zoo. The caravan had to change their route in Salt Lake City due to a storm in Colorado and Wyoming that was expected to increase in severity. Because the reroute would have extended the trip a day longer, a decision was made for veterinary precautions to go to San Diego Zoo and allow the elephants to rest. A total of three elephant experts, two veterinarians and three staff with the transportation consultant are accompanying the truck transporting Bamboo and Chai. The team has been making stops every few hours for wellness checks on the elephants and to provide food and change water. According to Martin Ramirez, mammal curator at Woodland Park Zoo, an extra day on the road would have been challenging for Bamboo and Chai. “For their well-being, we made the proactive decision to head to San Diego Zoo. They have expert elephant and veterinary staff, the room to accommodate our elephants and the appropriate equipment on site to unload our elephants,” said Ramirez. On arrival at San Diego Zoo, Bamboo and Chai have been unloaded from the travel crates into an indoor facility where the elephants will be in quarantine, which is standard procedure for any new animal at the zoo. The indoor facility and outdoor yard are off view to the public. 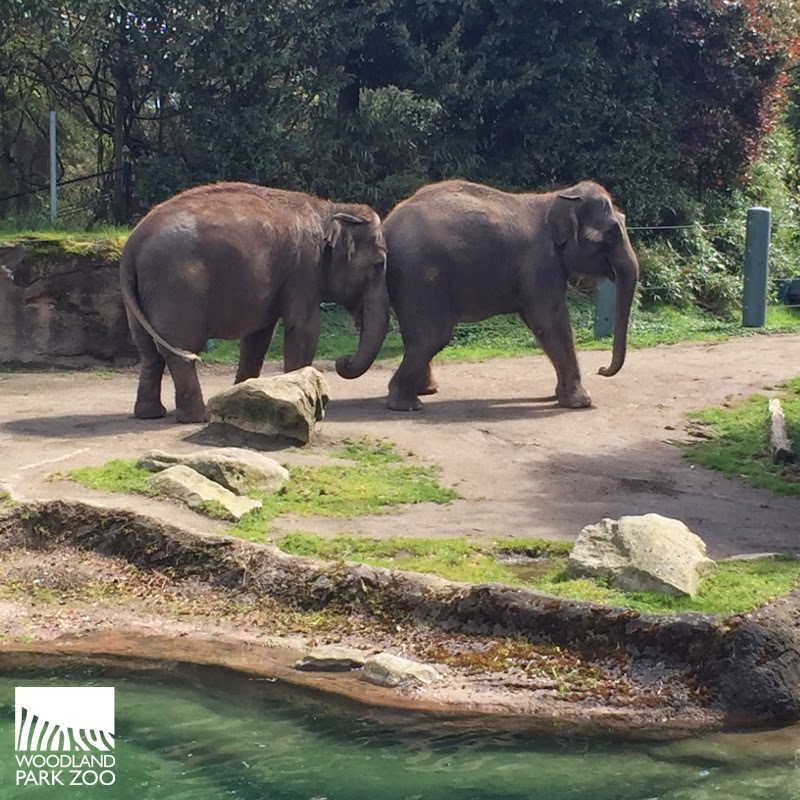 Woodland Park Zoo’s and San Diego Zoo’s veterinarians have done a preliminary health assessment on each elephant. “Understandably, just as after a long road trip ourselves, both elephants are tired and show signs of muscle stiffness. They both need the time to walk around, stretch their legs, and adjust to their new surroundings. We don’t know how long our elephants will stay at San Diego Zoo. We want to give them time to rest comfortably,” said Ramirez. “The Oklahoma City Zoo team stands ready to assist in any capacity for Bamboo, Chai and our Woodland Park Zoo colleagues. Collaborative efforts among Association of Zoos & Aquariums (AZA) accredited zoos including Woodland Park, San Diego and Oklahoma City continue to focus on the safety, well-being and preservation of the animals in our care,” said Dr. Dwight Lawson, Oklahoma City Zoo Director and CEO. San Diego Zoo’s Elephant Care Center opened in 2009. San Diego Zoo currently has a mixed Asian and African elephant herd in which the six females are socially integrated and a bull lives separately. May they have a comfortable vacation in San Diego, with good opportunities to stretch their muscles and to take rejuvenating naps!